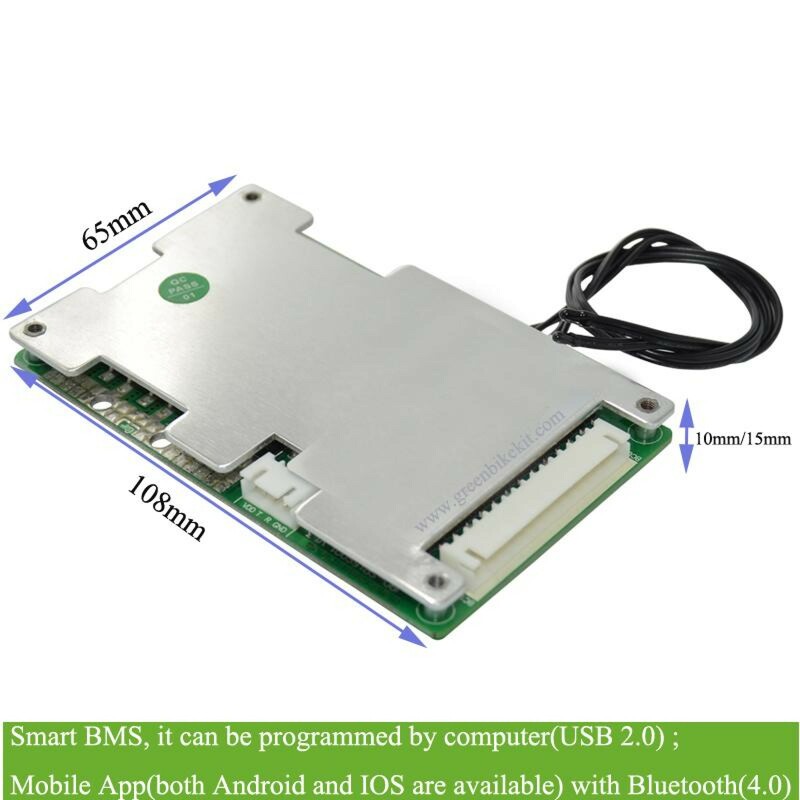 This is a smart lithium battery management system(BMS) which can be used for either Li-ion batteries or LiFePO4 batteries. 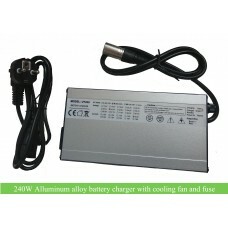 It can use for 11S, 12S, 13S, 14S or 15S batteries. 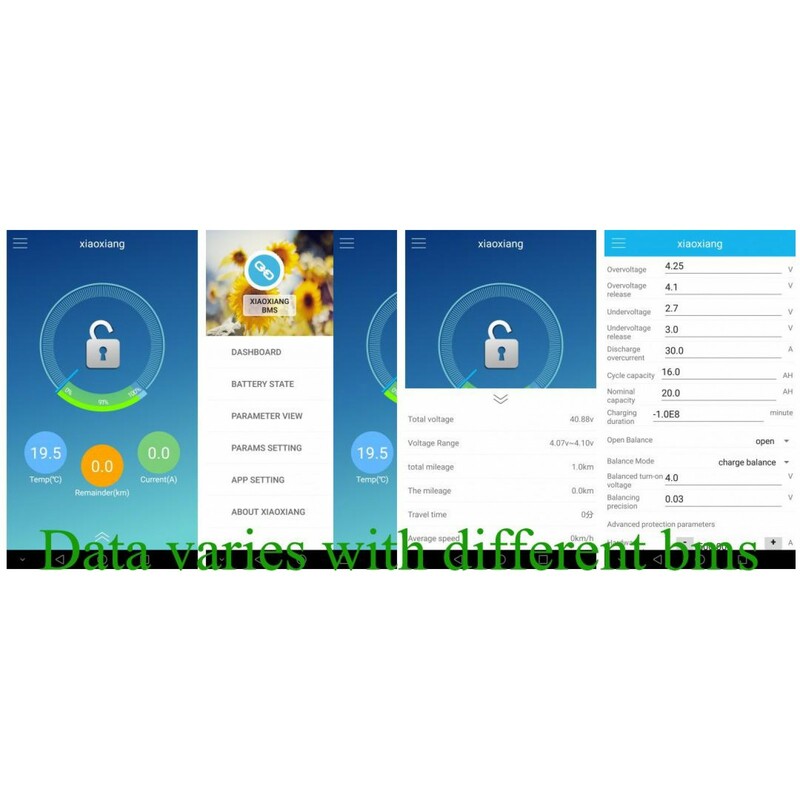 You can program it on your computer and view all the parameters via your mobile(The Android APP can slightly modify parameter for the BMS while the IOS APP can only read datas and cannot modify data from mobile) when outside. 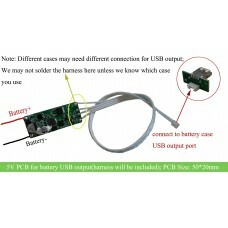 The battery pcm has been upgraded with alloy plates for better heat radiation, but the connection of the PCM has no changed. If you need the bms communication software, app or connection diagram, please download from here: details and docs of smart BMS. 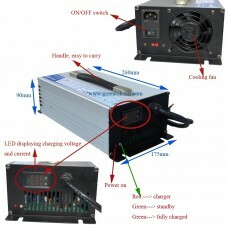 We also provide ohter intelligent lithium battery BMS with larger current from 7S to 10S, 16S~ 20S PCM and 20S~ 30S BMS with software and mobile app control. The battery BMS is with NTC temperature protection, short circuit protection, over/under voltage protection, over current protection etc. 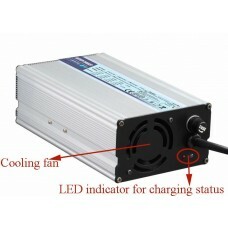 This Smart PCM use the same COM for charging and discharge which means the charging current can be equal to the discharging current(but we don't suggest charging current to be too large because it is no good for battery). 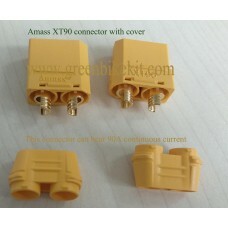 We can also provide customzied charger which compatible with the smart BMS. 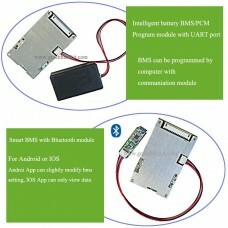 Li-ion/LiFePO4 programmable BMS 11S-15S, you can use it for 11S. 12S, 13S, 14S or 15S Li-ion or LiFePO4 batteries. You can set the parameters via company and yo can also check parameters on your phone. 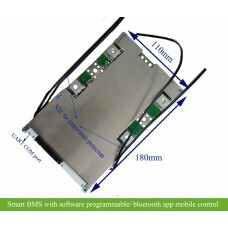 If you need the software, app, manaul and diagram for the smart bms, please download from our website. Review "Smart bms for 11S/12S/13S/14S/15S battery with software program or App control"